After what feels like ages since it was originally announced, finally Square Enix have announced that Kingdom Hearts Unchained X is coming to the west and not only that, it's releasing this week in North America! Kingdom Hearts Unchained X takes place before the keyblade war where there are many keyblade wielders around. As the player, you become one of the keyblade wielders and thus is where your story begins. 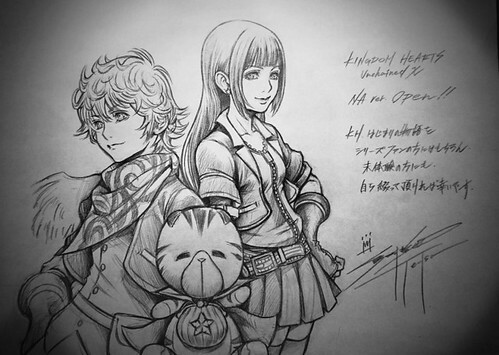 In Kingdom Hearts 2.8, there's a special segment called Kingdom Hearts X Back Cover which explores more into the lives of the leaders of the world you inhabit in Unchained X, so it's definitely a game worth playing story wise. Kingdom Hearts Unchained X will release on April 7th for all North American iOS and Android devices. No word yet on Europe, but hopefully we'll get more information soon!